Zillion thanks to ZemusDS for the links! Now all 12 Kinpachi specials are uploaded. Enjoy! Specials 5-6 are in the link below. Specials 8-9 are in the link below. Million thanks to ZemusDS for the link to this special. Now we have specials 1-4, 7, 10-12. Only 4 are missing (5-6 and 8-9). Enjoy! Thanks you very much iJoel for the links! There are 2 specials: Making of 5th season of Kinpachi-sensei and the last 12th 4 hour long special, which run after 8th season. Various specials, which aired before and after 7th season. Including "official" 11th special. 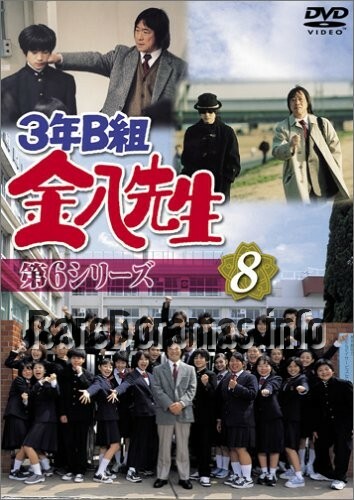 3 nen B gumi Kinpachi-sensei 11th SP - DVD-rip of "official" Special, which aired after 7th season. Specials, links and descriptions mentioned below became available thanks to iJoel! Season 7 Students Introduction SP - This SP contains introductions to the 30 new students in this season's class 3B, as well as footage from the shooting of the series. 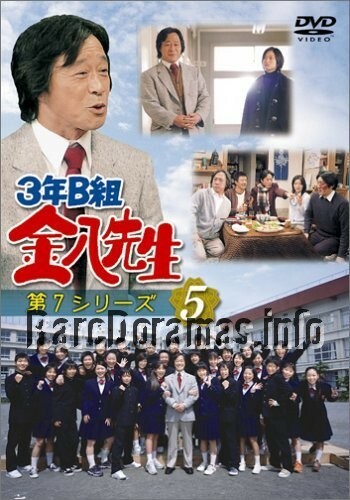 Season 7 Pre-Graduation SP - This SP ran directly before the Series 7 Graduation episode on 2005.03.25, and looks back at 25 years of Kinpachi Sensei and the events in Series 7 that led up the the following Graduation. Well, found the first special of Kinpachi-sensei. There are 12 specials in total and I don't have the rest. If you have them, please share.